The accidental death of a loved one is especially hard to bear, as it's something you don't expect and it all happens so fast. But it's even more difficult if that accidental death was caused by someone else's negligence or wrongdoing. The horrible unfairness of it all, suddenly depriving you and other family members of the company of one so loved, forever. During this painful, confusing time, you need skillful guidance from a Birmingham wrongful death lawyer. Although no amount of money can ever replace the loved one whom you've lost, my nearly two decades of experience with numerous clients has shown me that compensation can assist families who have lost wage earners and who are facing funeral costs, unpaid medical bills, loss of income and permanent loss of that loved one's companionship. In addition, Alabama's Wrongful Death Statute is intended to punish and deter the wrongful conduct that caused a wrongful death. This helps prevent such conduct and the tragic loss of life in the future. 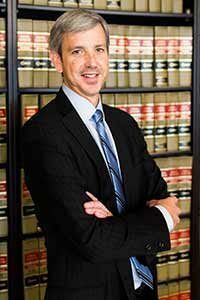 As an experienced Birmingham wrongful death law firm, we know there are ways to make it right. Begin easing the pain of suddenly losing a loved one by calling an experienced Birmingham wrongful death attorney. Contact us online or by telephone at 205-458-4556 to schedule your free consultation.